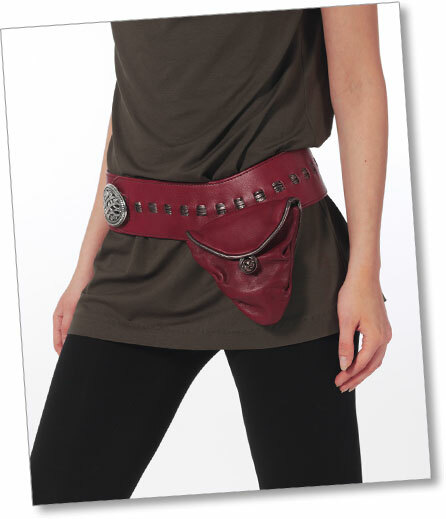 I'm a pretty spin on the dastardly, unflattering waist pack. I have a 1" belt. I can hold a bit more the Hip Ditty Bag. 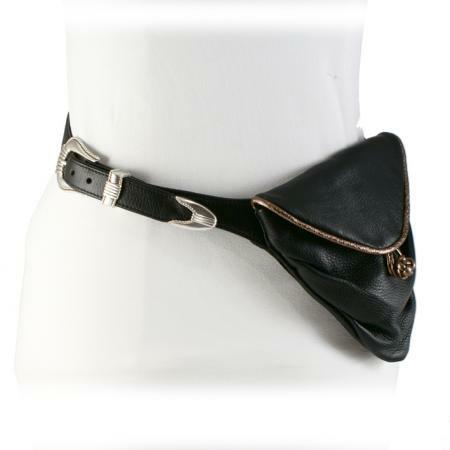 I have an outer back pocket big enough for a cell phone or ipod, a small inner compartment perfect for business cards or theater tickets. I'm a great travel companion and hold a passport quite nicely. Ladies who enjoy the thrill of riding motorcycles fine me attractive and very useful. I can be a real head turner! 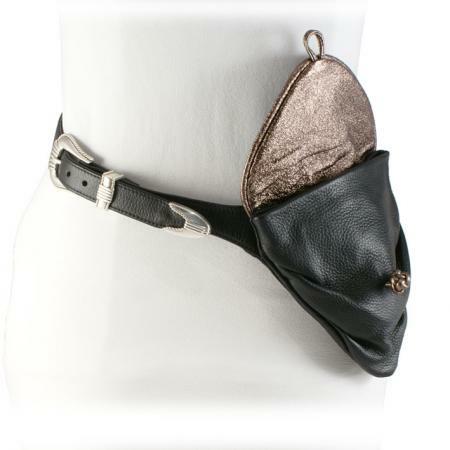 Hip bag on narrow belt. Exchangeable buckle set. 1 outside,1 inside pocket. 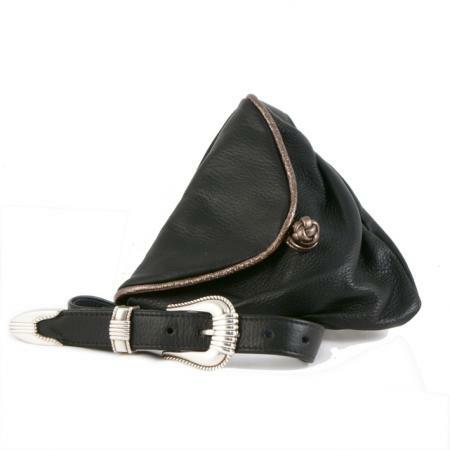 Gürteltasche an schmalem Gürtel. Austauschbares Schnallen-Set. Je eine Innen- und Aussentasche.